I'm appealing the decision to withhold mail from MIM distributors. I received a notice from the Office of Publication Review on 3-24-16 that my mail will be "excluded". - How to form a prison study group - Reason 1.2.8 "superiority"
- MIM Theory #4 1993 - Reason 1.1 "detrimental" 1.2.8 "superiority"
I have reason to believe the reasons given for censorship o fmy mail is absurd, generalized, conclusory bias and I would like a detailed expanation given specific details on the exact rules these pulications violate and why. I have also been notified by MIM that other literature they sent was simply returned to them by prison staff, after it arrived, marked "contrary to prison regulations." I never received any notice of these items and this is illegal. See Bonner v. Outlaw, 522 F.3d 673 "A prisoner must receive notice fro any mail that is rejected, and such notice shall state the reason for denial." 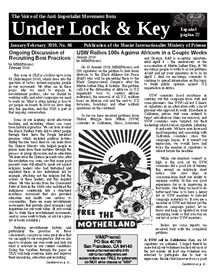 Also see Thornburgh v. Abbott, 490 U.S. 401 concerning by above appeal "wardens may not reject a pobulication 'solely because its contents is religious, philosophical, political, social, sexual, or unpopular or repugnant,' or establish an excluded list of publications, but must review each issue of a sbuscription separately." 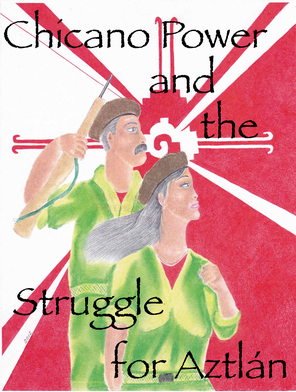 I was sent a book (Chicano struggle...) which was denied by the texas prison system. We will concentrate our efforts to obtain this publication, yet the reason set by the "Directors Review Committee" was "promotes peaceful protest Hunger Strikes against Authority." The book was received on 3-1. I got a notice of "Nuisance Contraband: used book." I found out this is a new rule and began fighting it asap. The Deupty Warden of Operations (DWO, second in command under the Warden) said we should have been give a 2 week notice. He sent the Institutional Investigation to check the book (for contraband - no used book rule is now in place because drugs have recently been found in used books) and he was going to let me have it. Then I got a second "Notice Conraband - materials not conducive to prison policy" stating the title "The truth about the white nation." I just wrote the DWO again stating retaliation by the investigator who told the mail clerk to re-write the contraband slip rather than put in the proper slip (any non-conducive materials can be appealed) that would allow me the opportunity to appeal first to the Warden, then to a committee in ODRC headquarters. He did this because I can't appeal used book rule. He tried to get around the fact that the DWO was going to allow the book. I'm still fighting and will keep you updated. Remarks: Page 234 promotes peaceful protest, non-cooperation, hunger strikes & no labor. It goes on to say that the Director's Review Committee (DRC) upheld the denial on November 6, 2015. It's funny because the unit library has books about the ilves of such notable people like Martin Luther King Jr., Ghandi, Nelson Mandella, Cesar Chavez of the United Farm Workers. All of them promoted peaceful protest, non-cooperation, hunger strikes and labor strikes to achieve their goals of freedom, equality, fair wages etc. I doubt it will do any good but I will file a grievance today. The Mailroom Representative, C. Hodges, outright refused to answer legitimate questions and assumed a condescending attitude towards me. It saddens me to know that I could have asked for many novels that promote pimping hoes, or that glorify gangsters or that convey the message that prison is a right of passage towards becoming men in our inner cities and I would have had no problem receiving that. "The mission of the Texas Department of Criminal Justice is to provide public safety, PROMOTE POSITIVE CHANGE IN OFFENDER BEHAVIOR, reintegrate offenders into society and assist victims of crime." That statement is straight out of the TDCJ Offender Orientation Handbook. Yet they denied me [email protected] Power because pg. 234 "promotes peaceful protest." Tell me, please, how do they get away with such obvious self-contradictions? Why would they rather I receive materials that promote violent protests? Perhaps so cause then the whole "they are animals, lock them up and throw away the key" argument would be validated, thereby justifying the expansion of the carceral state to fill their coffers. I did not receive Nov/ Dec #47. No notices from mail room either. I was denied July/Aug 2015 No. 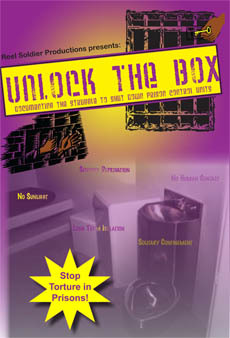 45 because the mail room "claims" pgs 1 & 6 contain information detailing prisoner strikes! I appealed it, but it was upheld!